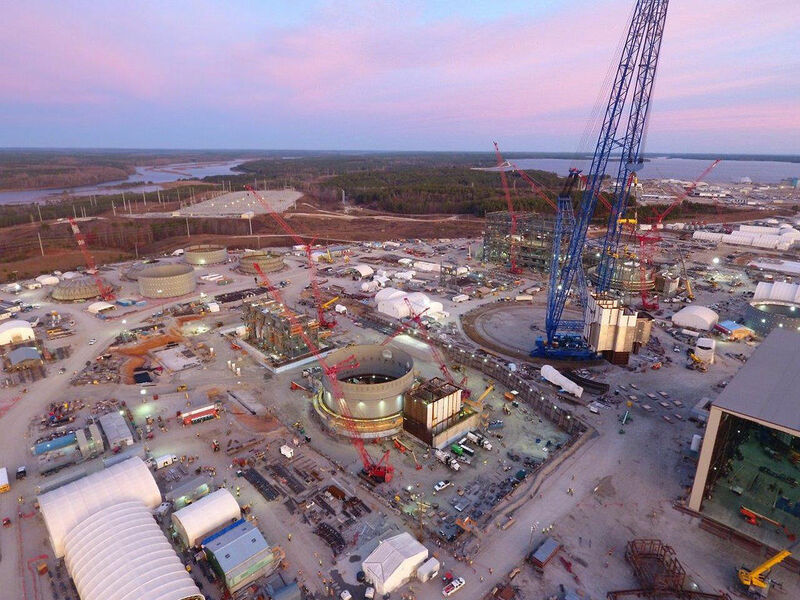 Plaintiffs Richard Lightsey, LeBrian Cleckley, and Phillip Cooper have reached an agreement with SCANA Corporation and South Carolina Electric & Gas Company to settle a lawsuit filed in the state Court of Common Pleas in Hampton County on behalf of themselves and current and former SCE&G electric customers. The settlement addresses these customers’ claims and the Attorney General’s arguments related to the Base Load Review Act (“BLRA”). SCANA and SCE&G deny the allegations made in the lawsuit, but have agreed to resolve this matter. Transfer of SCE&G owned real estate or sales proceeds from the sale of real properties, including among others, the Ramsey Grove Plantation; the original Charleston Gas & Light Building at 141 Meeting Street in Charleston; and certain Otarre properties in Cayce. Distribution of any settlement funds is subject to court approval, as well as a final order by the PSC approving a merger between SCANA Corporation and Dominion Energy, and a closing of the proposed merger between the parties. Affected current and former SCE&G customers will receive information regarding their rights under the settlement. Eligible settlement class members will receive compensation in the form of a bill credit or a payment of an amount to be distributed by a court-approved class action administrator. Upon the approval of the settlement announced today, the lawsuit will be dismissed by agreement and the claims of SCE&G ratepayers will be resolved. Attorney General Alan Wilson issued the following statement: “The settlement reached today is the result of countless hours of work by our office seeking to make SCE&G customers whole for the abandonment of the failed V.C. Summer nuclear project. I am proud of the hard work of my entire team in bringing about this result, starting with the aggressive posture of Solicitor General Bob Cook regarding constitutional issues related to the Base Load Review Act, and continuing through tough settlement negotiations to bring resolution to civil matters related to these issues. “At all times, our goal has been to look out for the ratepayer and see that justice is done. We believe that this settlement, which encompasses over $2 billion in benefits, is the largest of its kind in the history of South Carolina. The settlement resolves the injury that SCE&G customers suffered under the Base Load Review Act by refunding revised rates previously collected. We also required that the entirety of the SCANA rabbi trust, which had a number of financial benefits for senior managers of SCE&G, be made available for the payment of obligations of the company. “This milestone ends our pursuit for restitution to ratepayers, but does not end our inquiry into the individual actors that may have contributed to the project’s failure. We want to acknowledge the hard work of the private lawyers who zealously fought for the interests of ratepayers as well through various lawsuits filed on the behalf of SCE&G ratepayers. The State of South Carolina was represented in this matter by Attorney General Alan Wilson. Class Counsel are J. Preston Strom, Jr.; John R. Alphin, Jessica L. Fickling, Mario A. Pacella; and Bakari T. Sellers, of Strom Law Firm, LLC; Terry Richardson, Edward Westbrook, and Daniel S. Haltiwanger, of Richardson, Patrick, Westbrook & Brickman, LLC in Barnwell; Dan Speights and A.G. Solomons, III of Speights and Solomons in Hampton; J. Edward Bell of the Bell Legal Group, LLC in Georgetown; James L. Ward, Jr., and Whitney B. Harrison of McGowan, Hood & Felder, LLC; Vincent Sheheen of Savage, Royall, & Sheheen, L.LP. ; and Gregory Galvin of the Galvin Law Group. SCE&G and SCANA are represented by David Balser and Jon Chally of King & Spalding LLP in Atlanta, GA; Leah B. Moody of the Moody Law Firm in Rock Hill, SC; and Jamie Becker and Bob Knowlton of Haynsworth Sinkler Boyd in Columbia, SC.